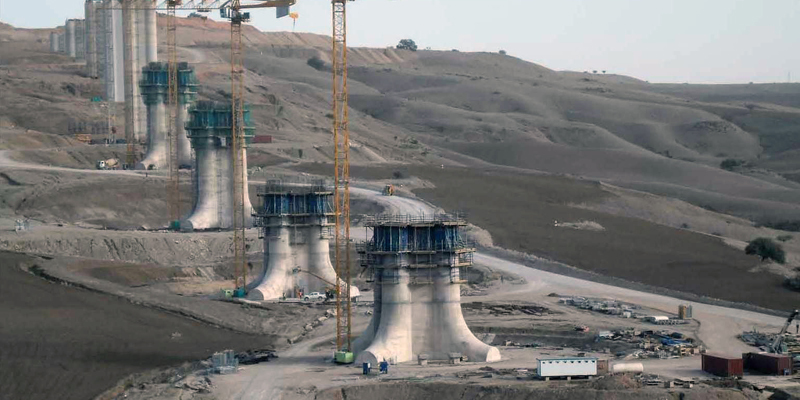 Control and supervision of the detailed design, supply and construction works of the new electrified double-track line between Oued and Tlelat/Tlemcen. Section length: 132 km. Supervision of superstructures, structures, tunnels, station buildings, signaling and telecommunications system and electrification of the railway line between Oued and Tlelat/Tlemcen, with a length of 132 km.